Rubies have ruled the hearts of kings and queens through centuries. Occupying a permanent place in jewellery, these bright shiny red stones have stood the test of time unlike most of its kind. One of the most valuable gems available to mankind, this fiery red stone is loved for its vibrant and warm tone and overflowing lustre. Although the stories around the origin of rubies is quite hazed due to lack of records, it is said that this brilliant red stone was first found in India where it was named “Ratnaraj”, Sanskrit for “the King of Gems”. Back in the days, rubies were used to decorate palaces and mansions and often, to welcome a Royal Guest. Now permanently posited in jewellery, the rubies that are mined today are mostly taken in to decorate ornaments. Rubies are graded by the parameters of colour, clarity and carat. Colour in rubies is the deciding factor. 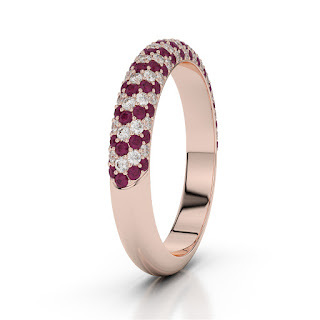 Although rubies naturally occur in all shades starting with red to dark pink, not all of them is top-grade. Only those occurring in the medium to medium dark red bracket are the finest. 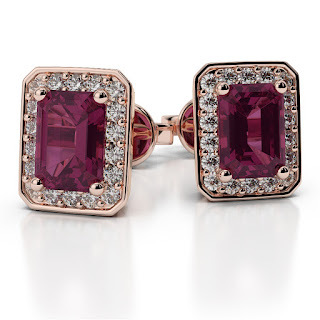 Gems from this section are often referred to as “pigeon blood” red rubies. 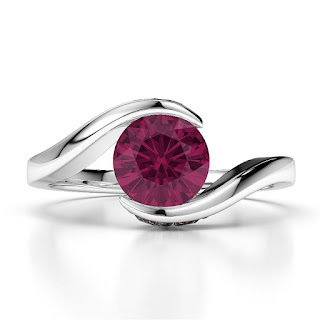 Those at the bottom of the bracket are passed on as pink sapphires because of their light hue and translucence. There is nothing as an inclusion-free ruby and that fact prompts the graders to focus more on the colour than the clarity of the stones. Even the signature red rubies have slight inclusions. However, the prices peak for those with fewer inclusions while it takes a dip for stones with more flaws. 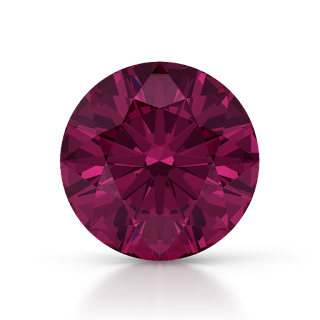 Almost all inclusions in rubies are visible to naked eyes. So, under bright light, it’s never really hard to make out the clarity of a ruby. Aside, colour saturation and clarity, the third aspect of a ruby that is directly proportional to its value is the carat. The larger a ruby is, the steeper it is priced. However, since the pricing is largely presided by the quality of the stone, a large stone of poor grade can cost much lesser than a drop-size top-quality ruby. The colour schemes in jewellery have taken an interesting spin at this point. Designers are no longer unconfident about bringing together gems of opposing or similar colours. It’s not so much about which shades match than which look great together. So, as long as the colours are not fighting one another for the first place, it’s good to go. With rubies, almost any gem can work, provided the jeweller knows how to bring it together. The marriage of rubies with diamonds is a union destined for eternity. The two have come together often and still do gracing each other with their brilliance and lustre. Rubies with emeralds seem to be the newest obsession of the masses. The two balance each other out, all the while sparking a vibrant combination of totally dichotomous shades. If you are not all for opposite colours, then try putting your ruby with a bright citrine. Orange and red occupy adjacent houses in the colour wheel. Being analogous, they blend as well as complement one another. Rubies with blue sapphire are another striking combination. The combination may at first sound a bit tricky because they don’t really balance one another, but if one is used to accent the other, the combination will look every bit wonderful as any. Pink sapphires with rubies makes the perfect pair for monochromatic jewellery where the designers tries to weave in gems of similar colour, but different shades. Frankly, the setting of a stone is determined by two things, first its cut and second, its carat. Getting past the first point in this case, what settings are great for rubies, generally speaking? To answer that, it is important to understand the general rule that applies to gemstones and their settings. The larger your stone is, the lesser your setting options get. If you want your thumb-size ruby to blossom brightly, then a prong setting is what you should think. The reason why prong setting is the best fit for a chunky ruby is because its elevation offers the best possible visibility for the stone. The metal claws of a prong setting are great in more than just one way. The clips are slim and therefore, they hardly get in the way of the gem. Secondly, a prong setting is a very secure setting for a large stone. It hardly ever fails to keep the stone secure as it passes hands. Of course a prong setting is not the only option you have. A bezel setting is a great fit for a large size ruby too. A bezel is a metal rim that contours the gem from around holding it tightly from all sides. 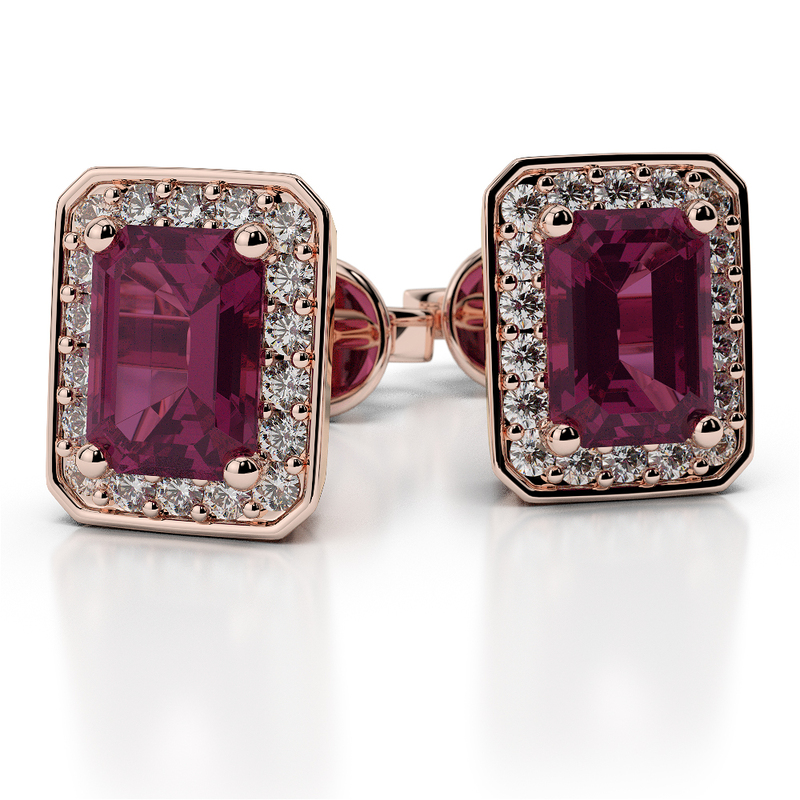 However, a bezel setting is also a popular option for small rubies that are cut to have a spread-off table. Since the metal bracket hugs the stone from all sides, it masks the bottom part of the stone. So, there is a great choice is setting for small and medium sized rubies with large tables. If you have a handful of smaller stones that you want to set in your ornament, then you need to choose between pave, channel and invisible settings. A pave setting, as the name suggests, is essentially how stones in pavements are cobbled together in a flat overlay. Channel setting is often considered a wise pick for small rubies because the grooves of the setting are firm to hold small stones. However, if you are not a fan of the metal perimeters dividing the stones apart, then choose an invisible style of setting for your rubies. In an invisible setting, the rubies are aligned one after the other with no visible barriers in between thus appearing like a long vibrant line of shiny red spearing over the surface.